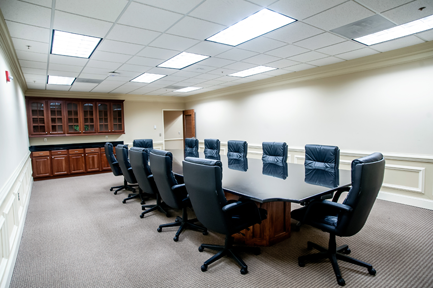 BLE Executive Suites offers low daily rates for the best individual office suites, training and meeting rooms in Prince George’s County. 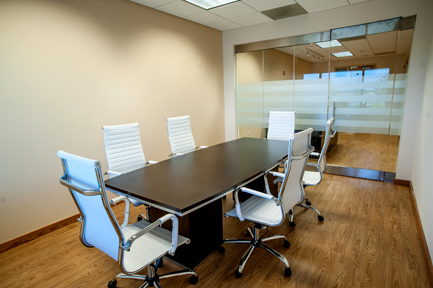 Great fit for home-based businesses, sole practitioners, organizations or major corporates in need of space. Better value than hotel ballrooms. Upgrade your image by meeting in your corporate office instead of the local coffee shop. BLE Largo Park Centre, 9701 Apollo Drive, Upper Marlboro, Md. You get one chance to make an impression. Make the most of it! BLE Corporate Board Rooms send the message that you mean business. Great option for pivotal meetings, like contract negotiations, gathers of trustees, legal depositions and non-profit organizational meetings. Our conference rooms make an impression, but are just right for atmosphere for a gathering of a project team, win over a new client or set up a base camp for a few days while visiting your out of town clients. 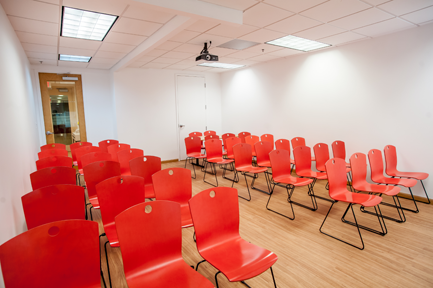 Our ultra modern training rooms are more comfortable, and a much better bargain, than a hotel ballroom. Focus on your gathering. We’ll take care of all the rest. We’ll set up the chairs, ready the latest multi-media presentation equipment, greet your guests and even copy your handouts. Free parking, and catering is available. The basic office. Use it for a few hours or a few times a week. Your choice. 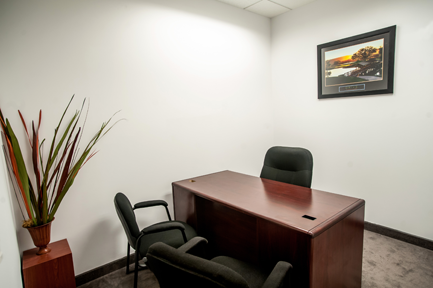 A great option for visiting executives or home-based businesses in need of meetings space some where other than the local coffee shop.